Growing up in Swansea with two hard-working parents, Anne Boden couldn’t have dreamt of the future ahead of her. After going on to study Chemistry and Computer Sciences at Swansea University, she made the big move to London to work for Lloyds Bank. Jump forward 35 years and positions at UBS, RBS and ABN AMRO, Anne has put herself out there as a forward-thinking banker who has spotted huge potential in the world of digital banking. Unable to have her vision realized as Allied Irish Banks’ Chief Operating Officer, Anne broke away and developed Starling, an innovative and exciting new way for customers to bank. 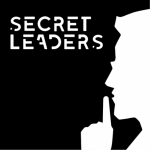 The Secret Leaders podcast features interviews with key figures from the UK tech and creative ecosystem. From entrepreneurs (both early and latter stage), to journalists, VCs - and even royalty - the series profiles those who have helped shape the nation's culture of innovation and growth.